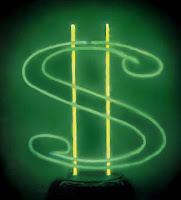 These comments are moderated to be in line with Children's Hope values. Thank you for commenting! Please continue to utilize the Children's Hope Yahoo Groups and your adoption consultant for immediate assistance with any questions. 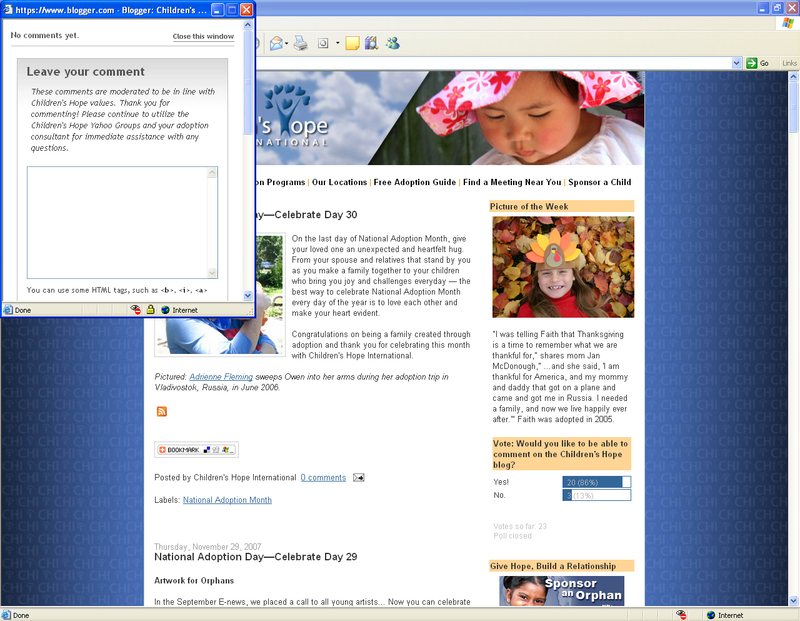 For those of you who receive blog updates via e-mail, you may view user comments by visiting the site online. 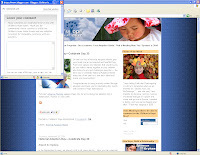 Our blog host currently does not support RSS feeds for comments. However, once you have have commented, you may prefer then, to receive additional e-mail updates when fellow readers respond to your own comment. As an additional feature, on Fridays a blogroll update will be posted featuring new blogs added to the blogroll and news of family transitions (from Waiting to Traveling and Traveling to Completed). On the last day of National Adoption Month, give your loved one an unexpected and heartfelt hug. From your spouse and relatives that stand by you as you make a family together to your children who bring you joy and challenges everyday — the best way to celebrate National Adoption Month every day of the year is to love each other and make your heart evident. Congratulations on being a family created through adoption and thank you for celebrating this month with Children's Hope International. Pictured: Adrienne Fleming sweeps Owen into her arms during her adoption trip in Vladivostok, Russia, in June 2007. Immerse yourself in your child's birth culture, by checking out books and videos on their birth country. 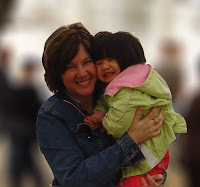 If you have adopted, and your children are reaching the age where they need a sense of their own beginnings, consider a Homeland Tour, such as those Children's Hope offers to China or enroll your child in culture camps, here in the United States or even those that will bring them back to their birth country as well. Have you ever wanted to take a peek into the life of one of your favorite writers? Montana's sports writer for the Bozeman Daily Chronicle and his wife Joanna happen to be a Children's Hope family. Tim shared his adoption story with his readers (entitled appropriately for a sports writer "Running the Maze of Adoption, and Winning") and shares with his family, friends, and the Children's Hope community via his blog featured on the Traveling Families blogroll (scroll down the right sidebar to find web links to family blogs). After pursuing a family in so many ways, Tim and Joanna are now experiencing success. Find the story that led them here in the Bozeman Daily Chronicle, and follow the family as they meet and adopt their little girl, 14-month-old Nina Mei, in China this week. Do you know a family that should be highlighted in the news, or feel comfortable sharing your story? Write about an exceptional adoptive family and submit the story to your local newspaper or news source. Over the course of National Adoption Month, you have become aware of the staggering statistics of the world's children in need of loving families. 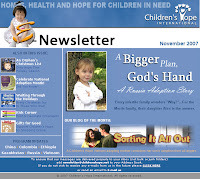 In 2007, Children's Hope International created a program to reach out to the 140,000 churches in the United States to bring adoption and orphan care awareness into the church. Today consider celebrating National Adoption Month by becoming a Children's Hope Church Volunteer. * Share your heart and passion for children who have no one to help them, telling every person you meet of the mission to be the one to reach out to them. * Present a “Pastor’s Packet” to your pastor for permission to begin an orphan ministry. * Announce the ministry in your church bulletin and lead others who have the heart for these children to become involved. * Organize other groups from your church to be a part of the team, including: bible studies, women’s and men’s groups, Prayer Tree and MOPS (Mothers of Preschoolers) groups. * Set up a table once a month with information on adoption and orphan care projects. * Set up a table once a month for Orphan Sponsorship. * Host a Dinner Party in your home to bring awareness to adoption and orphan care. * Present information to your child’s school to bring a positive awareness of adoption and do a project such as build a well in India. * Conduct presentations at your local Lions or Kiwanis Club. * Organize the ORPHAN TREE OF HOPE project every November and December. To take the first step to involvement, contact Michelle Howdeshell at 314-812-1746 for encouragement and more information. "In 2002, after only two years of marriage, Jeff and I learned that having biological children would be nearly impossible. The day we received this news we felt that our lives would never be complete; little did we know that God had a much bigger plan." In His plan for the Morris family was a little girl named Alex. Adoption involves so many emotions. You may find many of them revealed in this month's E-news Online. Find the full story of Jeff and Natalie Morris and also "Sorting It All Out" by our Blogger of the Month, Jodean Brannon, as she puts pen to paper to flesh out her complex thoughts on adopting her son Miles from Vietnam. With Thanksgiving behind us, many of our families are decking their home with the warmth of Christmas decorations. Add a special ornament to your tree this year: check out the Kids Corner for a Children's Hope ornament activity to create with the children in your home. This issue is jam-packed. Don't miss it; visit the November Children's Hope E-news. We are thankful for everyone in China who kept Hannah safe, happy, and healthy her first 11 months. We are thankful for everyone at CHI who helped us through our adoption process and for those who answered all of our questions without making us feel foolish. We are thankful that the sister Jaycie prayed for for so long fits so perfectly into our family. We are thankful to have two beautiful daughters who love each other dearly. We are thankful for every day we get to spend as the Fowlkes family of four." Children's Hope is especially thankful for all of our families who bring us so much joy everyday. Happy Thanksgiving! A reminder to our families: all Children's Hope offices will be closed Thanksgiving day and Friday, November 23. We wish every family a blessed, safe and yummy Thanksgiving! 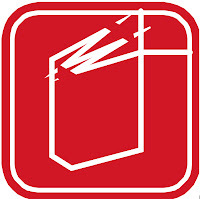 Update your child’s lifebook with the latest events in your child’s life. Need help? 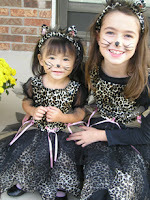 Visit ChinaLifebooks Yahoo Group and Adoption Lifebooks online. Adopted children are not alone. When they read books whose characters are adopted into families just as they are, they know it. As someone touched by adoption, you are not alone either. Nearly two thirds of Americans have been touched by adoption, either directly or indirectly—through a family member or close friend who has been adopted, has adopted, or has placed a child for adoption. How important is it then, to communicate clearly and listen to the voices of adoption? Read Rose Kent's article "Three Cheers For Adoption Books – And Why We All Should Read 'Em" and become inspired to spread adoption literacy, in your home and your community. Kent suggests how you can share in schools and libraries, and offers fresh recommendations for adoption reading, too. Don't miss this great article and another way to celebrate adoption awareness! Take a moment today to be thankful...for the adoption process, for the opportunity to grow a family, and for the people that help make it possible. Although Thanksgiving is days away, make this week a week of thanksgivings, when you wake in the morning and when you prepare for sleep at night. "Thirteen lucky children adopted" "18 children placed as Salem court celebrates" "A day filled with family and emotion" "5 Siblings Adopted" "42 children adopted" "National Adoption Day Brings Hope" "200 Adoptions to be Finalized"
Scan todays headlines for National Adoption Day and let the words wash over you. Thousands of children were welcomed into new families today. It is simply amazing. From the bottom of our hearts, Children's Hope wishes to congratulate everyone who experienced "their family blossoming" on this great day. Bryn Hough of News 14 Carolina reminds us, "while kids in need will find a new home over the weekend, there are still much more waiting for a family to call their own." We can't wait for another child to experience the love of a family...tomorrow and the next day. 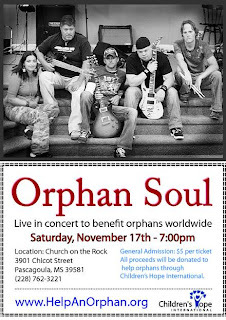 On Saturday, November 17, Orphan Soul will be performing in Pascagoula, MS to help orphans worldwide. You can help an orphan by enjoying a great concert. Click here for a printable flyer and more details. "It seems so simple, and in a very basic way, it is: There are children out there who need a warm and loving home, and there are families yearning to provide all that and more. But making it all come together — well, that part can get complex." Gina Shaw's article "This Is What Adoption Feels Like" for Redbook magazine (quoted above) is a great example of adoption in the news: comprehensive reporting-citing pros and cons of not only international adoption, but also domestic and foster care-and most importantly showcasing the amazing love of families created through adoption. Adoption is a win-win. An orphan in need of a home, finds a home; parents with love to give, give love and receive it in return. Share how adoption has changed your life, whether through the making of your family as a new mom, a new sister, or a new dad; or how a friend's adoption changed the way you view the gift of family. Send the account to your local paper to create more positive news like "This Is What Adoption Feels Like". Children's Hope Executive Director Dwyatt Gantt and Outreach Director Cory Barron attended this conference. Read Cory's take on the church's response here. Lori Willis and her son Jonathan set out to capture their joy as a family among the autumn leaves. Lori gave their photographer instructions: "No poses, no stress, lots of fun, lots of giggles!" The result? What came out in the photos was their natural love for one another. Make it a tradition: each year during National Adoption Month, take a picture together as a family...and share it! Share your photos with your friends and family, with your adoption community, and with Children's Hope. You'll see Lori and Jonathan (adopted from Russia in November 2005) featured in the winter edition of the Children's Hope International print newsletter, in your mailbox next week. 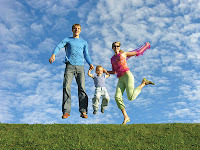 Families happy together—that's definitely something to celebrate! Note: If you would like your pictures submitted to a Children's Hope publication, please send non-professional photos, or ensure you own the digital rights. ...Our staff loves to view them all; thank you! The Heart of a Birth Mom - Mrs. April Warren and Mr. Nathan Howe — April Warren shares her story of how as a 17-year-old she decided to place her child for adoption. Nathan Howe, April's biological son, shares his story of having been adopted. The two were reunited on Focus on the Family in 2006. Paul Pennington and Jason Weber from FamilyLife will discuss the joy of orphan care and adoption ministries in the local church. Andy Lehman from Life International shares about the many financial programs available to help families afford the cost of adoption. In this program, Crown will air selected testimonies from those whose adoption were especially blessed regarding financial obstacles.